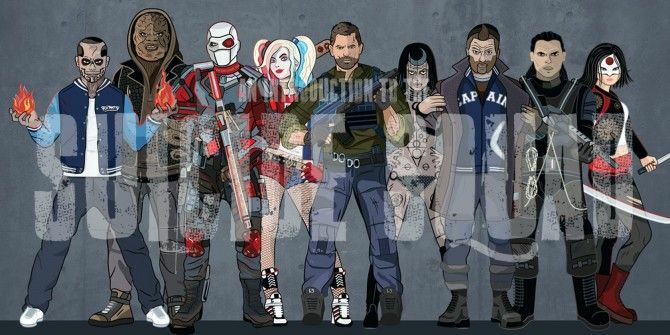 The Suicide Squad is Coming! How Much do You Know About Them? There are a lot of superhero movies Wow, There Are A Lot Of Superhero Movies Between Now And 2020 Wow, There Are A Lot Of Superhero Movies Between Now And 2020 As it turns out, between now and 2020, there's a lot of supermovies coming out. A whole lot. Read More coming along soon (many of which are from Marvel Marvel Sure Has Had an Illustrious History in The Movies Marvel Sure Has Had an Illustrious History in The Movies Read More ). But DC has one coming down the line that has many comic fans very excited: Suicide Squad 12 Great Geek Movies You Need to See in 2016 12 Great Geek Movies You Need to See in 2016 If you are both a geek and a lover of movies, then 2016 is going to be a great year for you. Because so many great movies are coming out over the next 12 months. Read More . After watching the trailer above, it’s easy to see why people are so excited. But how much do you actually know about the charters? You know Batman 3 Batman Infographics That'll Expand Your Dark Knight Knowledge 3 Batman Infographics That'll Expand Your Dark Knight Knowledge Read More and The Joker A Minimalist Look at the Evolution of Batman and Joker A Minimalist Look at the Evolution of Batman and Joker Read More , and you’re probably familiar with Harley Quinn 10 DC Superheroines Dressed As Hipster Girls 10 DC Superheroines Dressed As Hipster Girls What if superheroines lived amongst us today? Would they dress like we do? Artist Elizabeth Beals from Atlanta, Georgia, premiered her "Hipster DC Girls" series at HeroesCon earlier this month; subtly reflective of today's fashion... Read More , but do you know about the rest of the crew? The infographic below will tell you everything you need to know about the whole entire Suicide Squad. el diablo also is way older..
"But how much do you actually know about the charters?" LOL.